I usually don’t post on Sunday’s but when I heard that Hometalk.com and CountryLiving.com were hosting a Home for Christmas home and garden blog hop, I knew I had to join the fun! I’m joining up with THE most talented bloggers who are sharing their creative holiday projects, so be sure to pop around the link up at the end of the post. For my project I decided to make an easy and simple chalkboard advent calendar. 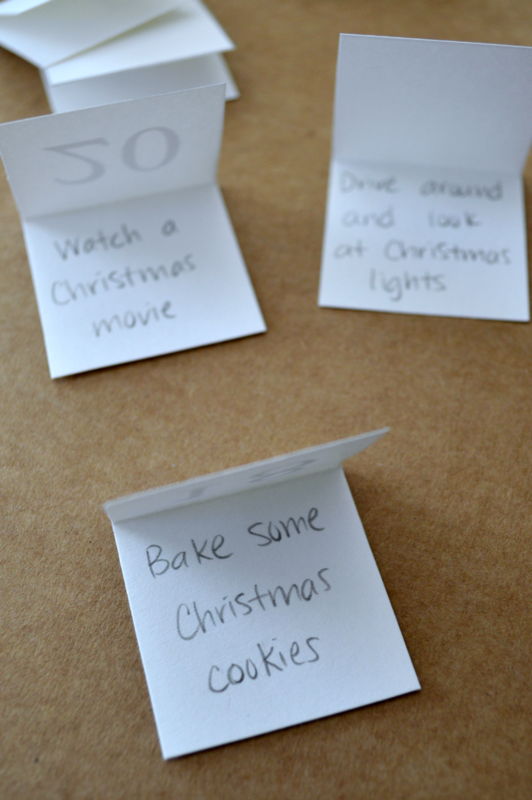 I love the idea of having a host of fun holiday activities planned out for the days leading up to Christmas. The only problem is that with the hustle and bustle of the season it can be hard to carve out time for those little extras, let alone present them all together in a pretty package. That’s why I made sure my calendar was super simple to put together. I think it’s absolutely vital to make time with your family to enjoy the season. Find the time to make happy memories together that will last a lifetime. I promise you won’t regret it! I know that we’re already a few days into December but there’s no harm in catching up. Or you could even make a 12 days of Christmas themed advent, especially if the thought of coming up with and scheduling 25 activities seems daunting. Let me show you how I whipped my calendar up! First, I made my activity cards by creating a Word document. I made two 7×4 tables that filled an entire page. 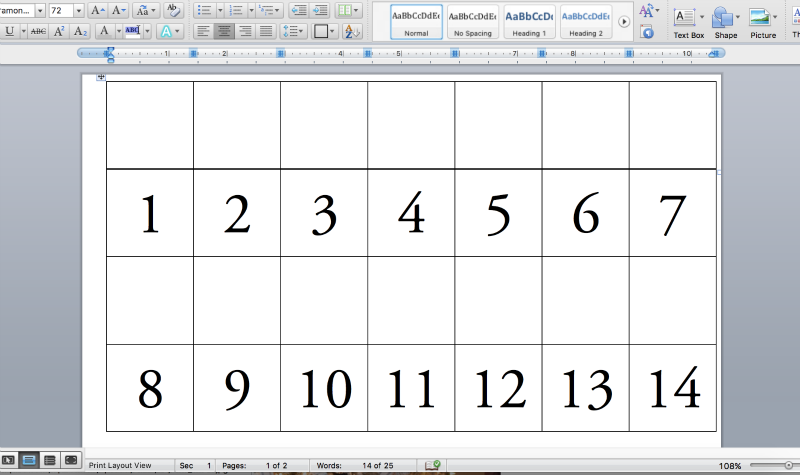 I left the first and third rows blank and typed out my date numbers on the second and fourth rows. 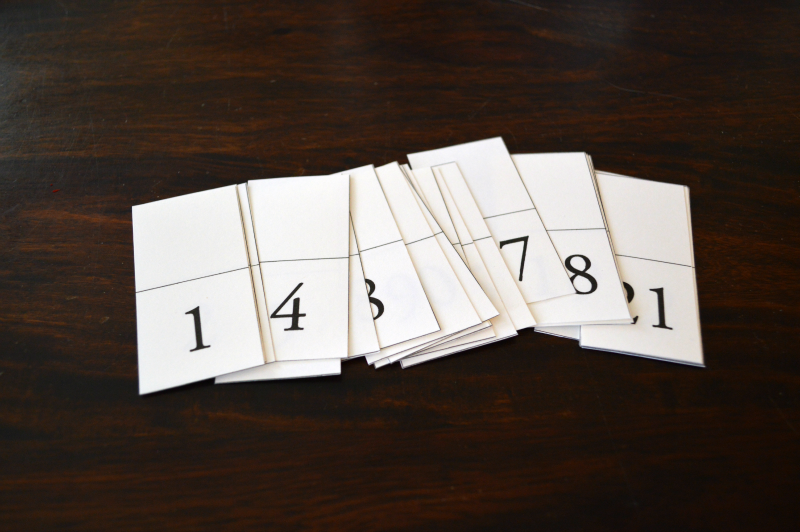 I printed everything out on white card stock paper and cut out each card, making sure that each one had a blank space on top of each day. Next, I folded the cards on the line and wrote down our activities inside. For my calendar board I used a chalkboard menu board that I made for a previous project, but you could use anything from a picture frame to an old wooden board. I used clear thumbtacks to attach cute red and white ribbon from one side of the frame to the other, letting the ribbon droop a bit in the middle. Then I clipped each card to the ribbon with mini clothespins. 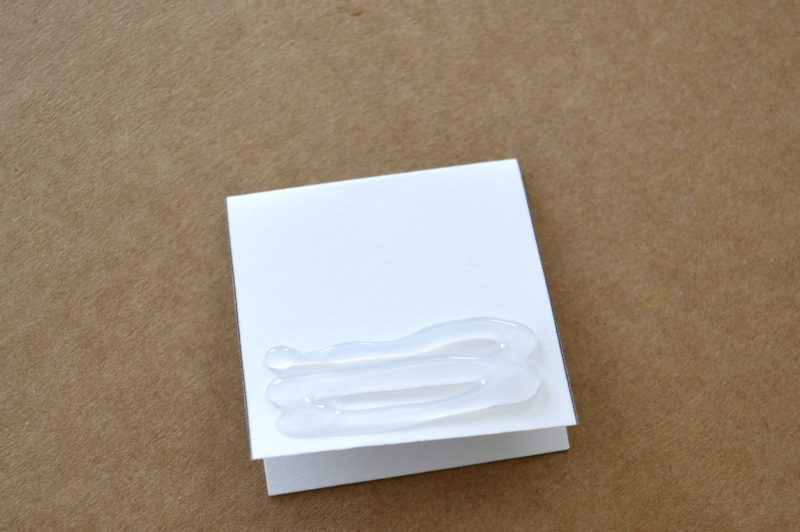 I had to run a few lines of hot glue on the backside of each card to counter balance out the weight of the mini clothespins, otherwise it would make the cards flip sideways and look all wonky. I love how simple this project was to make and I’m so excited for the fun activities we have planned! As I mentioned above, this is one giant holiday blog hop, so be sure to browse through the rest of the projects below for more holiday home inspiration. You can also search the hashtag #HomeForChristmas all across social media to follow along with the blog hop participants’ projects. Sarah, I LOVE this! Pinning! Sarah, This is so darn cute! I love that you can take down the advent part and use the frame year around! Thanks, DeDe! It’s super versatile and I can see myself using it again for other holidays. Love your Advent calendar! Simple and looks so great! 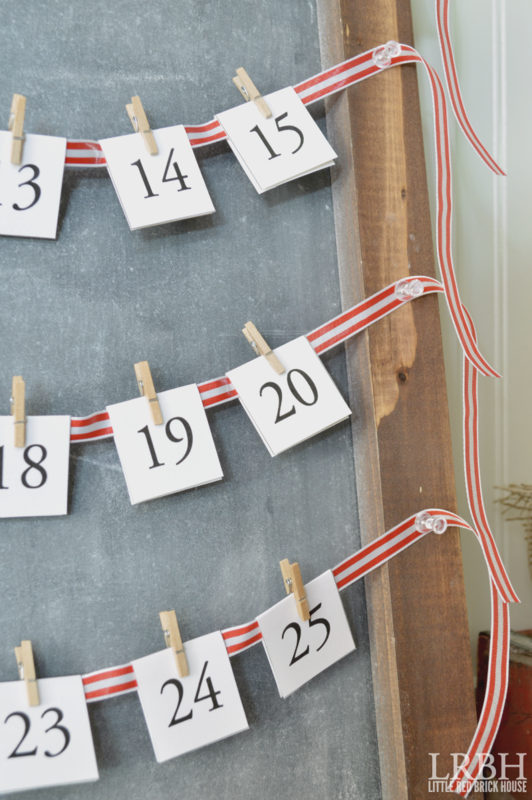 When my kids were young, I planned daily Christmas activities with them, so this brings back fond memories and is so cute and easy – pinned it! Such a sweet memory! I’m hoping to make the same with my little one. Thank you, Angie! I love how each of the days has a little activity on it! That’s the best part of the holidays – spending quality time with people you love. What a great idea, and I love the chalkboard background! Absolutely! I love making sweet memories with my family. Thanks for stopping by, Jenny! BEAUTIFUL! So simple, elegant…perfect for the season! It was the first link I clicked on from the link up 🙂 My eye was totally drawn to it!! Sarah, you are brilliant! This project is simple but at the same time it’s PERFECTION! I need to do this now! You rock! Sarah, this is such a beautiful idea! 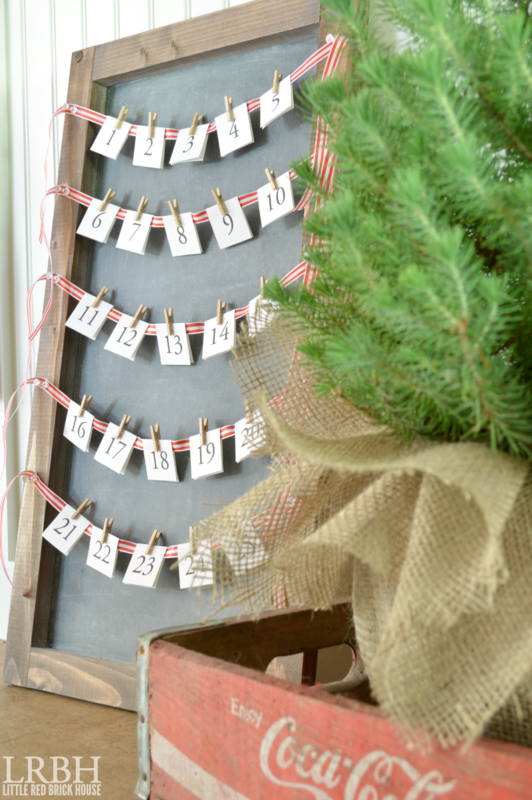 I love that you arranged it on the chalkboard and the little pine tree next to it is adorable. Love every little bit of it! The little tree is my favorite part. I want to keep it year round. 🙂 Thanks so much for stopping by Katrin! 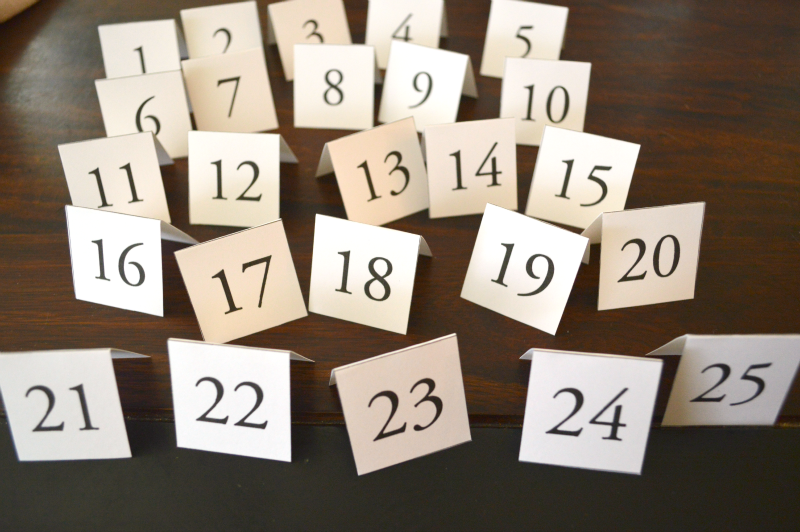 This is one of the best Advent calendar’s I’ve seen! I LOVE it and so want to make one for myself now. Great job! Well, thank you, Katie!! 🙂 It was super easy. You should totally make one! What a sweet idea!!! 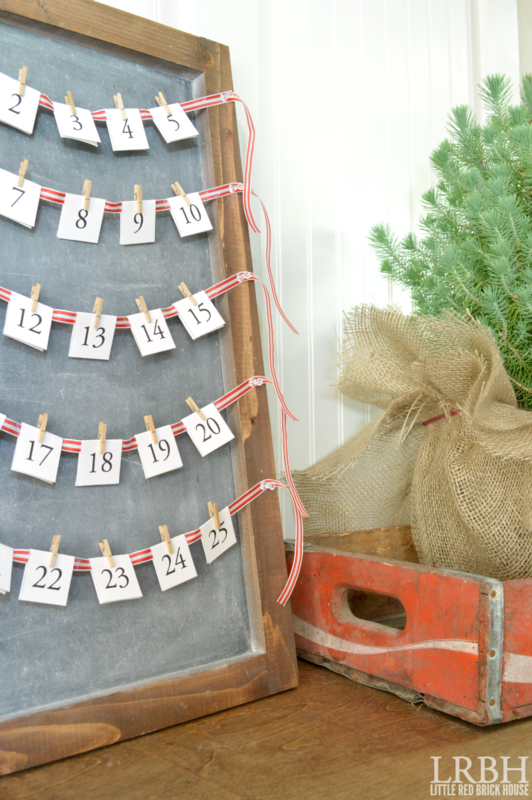 I might even make a countdown to Christmas like this with creative projects and ideas for the evenings. That’s a fantastic idea, Jeanette! Thank you so much for stopping by! Love how this turned out! It’s so cute! I love the pop of red, too- So festive! Thank you so much for stopping by and for the pin! This is beautiful, I love the simplicity of it. No harm in catching up! I had one ready to go for my kids in November, yet we are still catching up. It looks great in that room too. This is ADORABLE, Sarah! 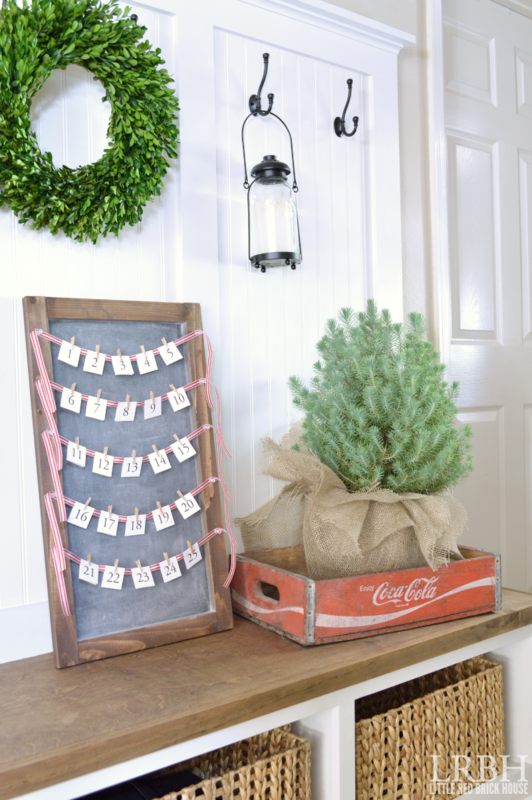 Such a great Advent calendar and it goes perfectly with your home decor. This is such a cute advent calendar, Sarah! Love it! Such a pretty advent calendar! Great tip about the hot glue too. I never would have thought to do that! So cute, fun, and clever! I love it, and I need to bake cookies, lol. Thank you, Stephanie! I appreciate it so much! I’ll be sure to stop by and check out the others.